To create an interesting composition, it is essential that the elements and principles of design are applied. 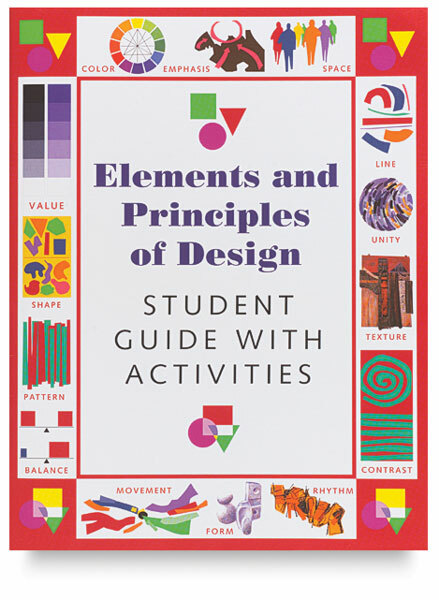 These videos and posters show how these elements and principles have been applied in artwork, architecture, and nature. This colorful student book is designed to correlate with the Elements and Principles of Design Posters and DVD series. All fourteen posters sold in the Crystal poster set are reproduced in this book with related activities and full-color illustrated examples. Paperback. 32 pages. 8½" × 11" (22 cm × 28 cm).